Pure gorgeousness! We’re excited to share another vows that wow, dreamy wedding that has crossed our desk and had to share a sneak peek of this wedding that will be seen in full in our January 2012 Anniversary edition. We can’t wait to showcase all of the beautiful details of Taylor and Brian’s fabulous springtime fete! 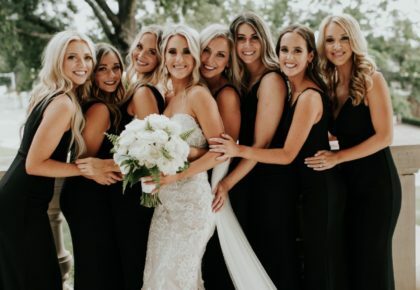 Gaillardia Country Club was the perfect venue, complete with in-bloom redbuds that were an incredible backdrop for photos! Taylor and Brian enlisted the help of an A-list team of Oklahoma wedding pros like Bea Penhall of About Last Night, Mishelle Handy Cakes, Marianne’s Rentals for Special Events, Mood Party Rentals, New Leaf Florist, By Invitation Only, Innovative Event Solutions, Courtney Morehead Photography and Lewis Jewelers to make their dream wedding come to life. 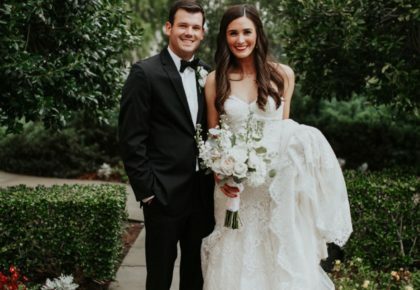 The eve before the wedding, the couple chose The Green’s Country Club for their rehearsal dinner and out-of-town guests stayed at the chic Colcord Hotel for the wedding weekend. We absolutely love the petit dessert bar with tons of yummy treats – coincidently, Taylor’s last name is “Treat” so Mishelle Handy Cakes made a fabulous “Treat” room with all the couple’s favorite goodies! 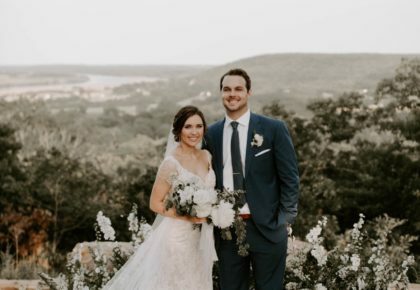 Taylor has exquisite taste for fashion and the entire wedding party looked amazing and we love how Taylor opted for a short and sassy dress (a re-make of her mother’s wedding dress!) for the reception. Stay tuned for more fabulous vows that wow we’ll be sharing on the blog of weddings to be seen in our special 5th Anniversary edition! Cheers! 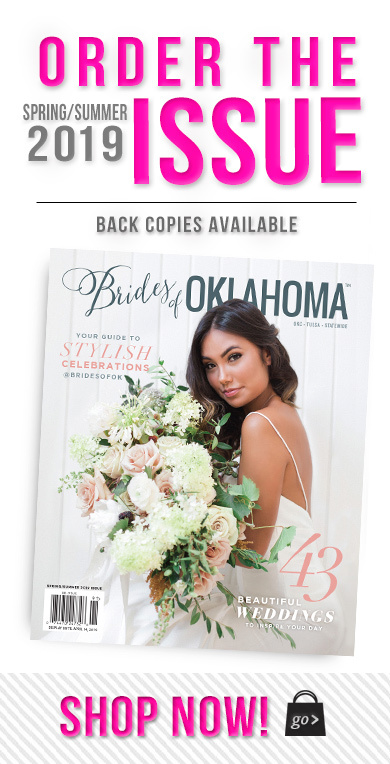 Wedding announcement space in the Anniversary issue is limited. We’d love for you to be a part of it! Reserve your space as soon as possible online now! Engagement announcement space also available, click here for details.